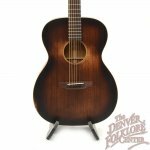 First introduced as a new model by Martin in 1930, today’s OM-21 is a modern version of what has become a true classic in the world of acoustic guitars. 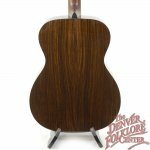 The combination of a solid Sitka spruce top with East Indian Rosewood back and sides delivers all you would want - from rich lows to smooth highs with plenty in- between. The ideal finger-style player’s instrument, the OM-21 is also at home in the hands of an adoring flat-picker. 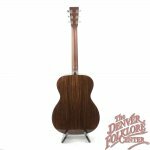 The neck, with a low oval shape and a slightly narrower taper, is incredibly comfortable and the satin finish makes it as smooth as butter. 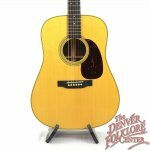 Top quality materials throughout, paired with simple appointments, makes this guitar the envy of every other instrument in the room. 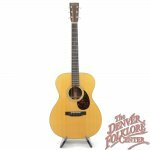 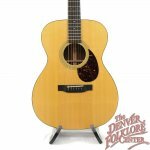 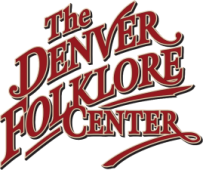 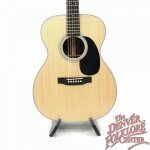 Includes a Martin multi-ply hardshell case, Martin’s lifetime guarantee, and a promise of the proper setup with the DFC Difference.